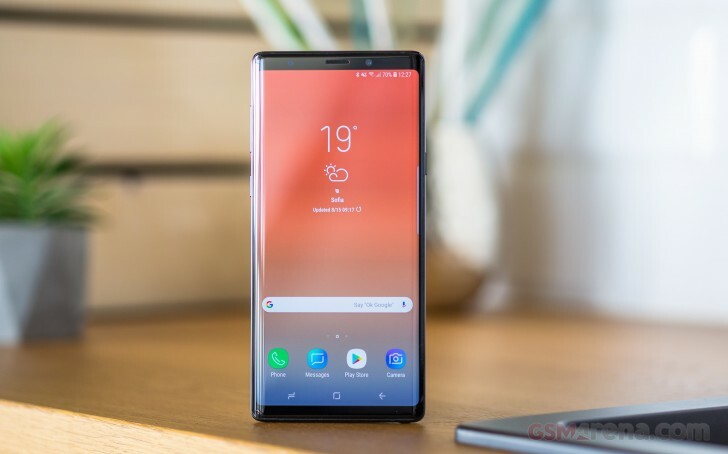 It’s no secret that Samsung makes the best OLEDs for smartphones these days – its class-leading panels feature on Apple’s new iPhone XS, XS Max and the company’s own Galaxy S9 and Galaxy Note9. As a result, the company holds about 95% of the markets share for small and mid-sized OLED panels. So the latest news about 11 employees working for a vendor on contract with Samsung disclosing technology secrets to a Chinese firm don’t sound all too well. South Korea is now looking into a case where 11 employees have sold Samsung’s OLED manufacturing secrets to a Chinese company for about $14 million. Three of them are now arrested and await trial while the list includes the company’s CEO too. They’ve set up a shell company to which they’ve sent all the insights. The vendor’s job was to produce automated equipment for Samsung’s OLED panels, so it has plenty of information regarding the technology process. They sent over drawings and schematics of the panels. It appears to be all about the 3D Lamination technology for curved OLEDs. It’s a clear violation of a non-disclosure agreement and Samsung says it won’t be letting this go. It took them about six years and millions of dollars worth of development and the company is keen to protect its secrets.